I didn't think people went to outdoor movies anymore, until I read a wonderful story in the July 18 issue of America magazine by Maryann Cusimano Love. In her column, Ms. Love tells of taking her children to their first outdoor movie. Everything seemed to be going well, when suddenly "an indignant bellow – NO! –interrupted the program." She recognized "that big voice in a small person's body" as that of her 2-year-old daughter who, in her footie pajamas, had marched up to the big screen and was facing down the evil villain. The film showing was Tangled, the Disney story of Rapunzel. 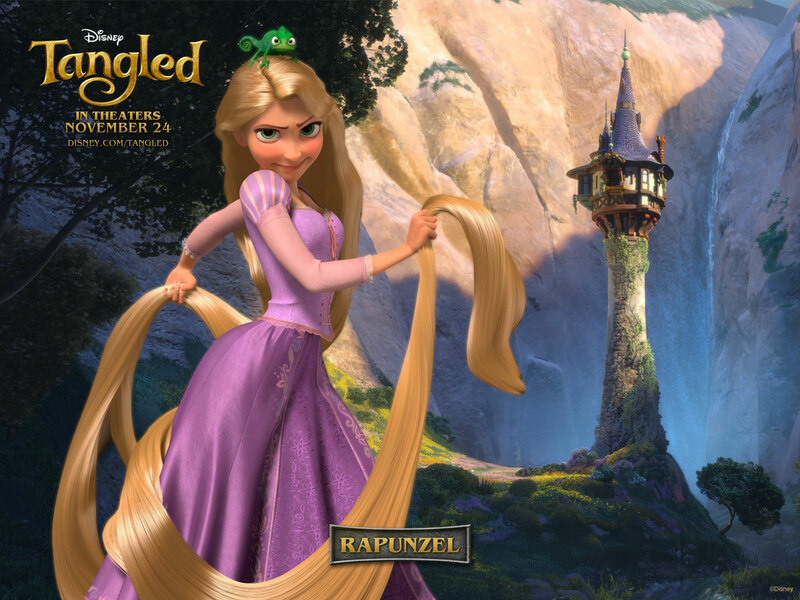 The villain imprisoned Rapunzel for security reasons, to protect her "because the world was a bad and cruel place." Ms Love writes that her daughter would simply not accept that and cried out "No! that's not true! The world is not bad. The world is…" and she opened her small arms wide and pointed at the people gathered on blankets in front of her, sharing popcorn and picnics. "The world has…" and she finished her observations saying "grass! Green grass." Ms Love says her small daughter "rested her case, secure in her conviction that a world thick with lush, green grass and people breaking bread together could only be a good and grace-filled place." When I read this, I couldn't help but think of the prophet Isaiah saying, "A little child shall lead them." Our media today seems to be full of super-heroes. We seem to be looking for someone to save us from the evil around us, and perhaps within ourselves. This phenomenon has been with us a long time, and probably will continue to be with us. The super-heroes of the media are merely illusions. But the living, breathing heroes who stand for good, for truth and justice, who are generous and unselfish, are all around us. We need only think of Dorothy Day, Mother Teresa, Martin Luther King, and a little child in her footie pajamas! We need only think of our families who keep gathering to break bread and build community. We need only to think of those who tirelessly care for the child with AIDS, the young woman rescued from the abuse of human trafficking, or the neighbor down the street whose family grieves the loss of a loved one. Shall we thank one of those super-heroes today? Thank you, small person with an outsized grasp on life! "America the Stony-Hearted," is the title of a recent column by Neal Gabler, professor, journalist, author, film critic and political commentator. In light of the current political polarization evidenced in budgetary gridlock, his analysis of a "moral revolution" in the U.S. over the past 30 years is of interest. Gabler believes we have become "a different country morally from what we were." He acknowledges that the "U.S. has always had a complex national moral system, one in which Puritanism, rugged individualism, hard work, self-reliance and personal responsibility coexisted with values of community, concern for the common good, charity, compassion and collective responsibility. These two moralities were not mutually exclusive, nor did they simply describe any one political party. Conservatives espoused generosity and compassion, and "liberals valued hard work and individual responsibility." In his view, this is no longer the case. "The two moral systems that . . . long coexisted, suddenly were also being politicized and polarized . . . they became mutually exclusive, oppositional and finally inseparable. . . ." Today, for conservatives, the term "liberal" connotes being mush-minded, weak, and . . . willing to give taxpayer largesse to the underserving and lazy." And "liberals have come to see the emphasis on the individual and self-reliance as a form of civic irresponsibility and selfishness -- a way to justify rogue economic behavior and enrichment at the expense of the community." Gabler concludes that this shift in our "moral geography has not only changed our politics and our perception of morality; it has changed us. If compassion is seen as softness, tolerance as a kind of promiscuity, community as a leech on individuals and fairness as another word for scheming, we are a harder nation than we used to be, and arguably a less moral one as well." In short, America and Americans have become stony-hearted. To read the entire article, click here. From June 7 to June 26 I lived in China. For 20 days, a small group of 9 women and men Benedictines and one lay person, a professor at the School of Theology in Collegeville, visited eight cities; we traveled by mini-bus, overnight train, rapid train and plane. Why these eight cities . . . what did they have in common? Each one was the home of a religious community of Sisters and/or a seminary. The primary purpose of the trip was to meet and dialogue with the religious women in China. I am planning over the next few months to write about our various visits but today I want to write about one of the first observations I had upon arriving in Beijing, our first stop. What struck me were the contrasts we would encounter every day. China is an incredibly ancient civilization and the Chinese are extremely proud of that history. They want to show it to the world while at the same time moving rapidly toward becoming a super power. The picture at the beginning of this blog is a small illustration of my observations regarding contrasts. Our group ate a meal in the traditional Chinese-style building and not far from the restaurant is a highrise. As we approached the city of Kaifeng one afternoon we drove on a very new 4-lane highway with beautiful lamps posts, and looking to the right and to the left of our mini-bus were highrise buildings as far as the eye could see, along with many, many buildings in various stages of construction, as evidenced by all the cranes we saw. One of our first stops after driving into the city itself was to the Cathedral of Kaifeng; however, when we arrived at the street where we would find the Cathedral our mini-bus could not negotiate the narrow road so we walked the rest of the way. There are many more examples like this; for example, driving in the countryside and seeing not machinery in the wheat fields but people who came to the fields on their bicycles and mopeds. Or, the day we waited for a train in a brand new train station, and looking around the vast hall where we were we could see on the second floor a McDonald's, a KFC and a Dunkin Donut - we did enjoy a delicious cup of coffee and a donut after walking up the stairs because the escalator was not working. I have wondered since returning home if people coming from foreign lands notice the contrasts in our country, contrasts that we do not see. Finally, I hope the Chinese never get rid of all their contrasts - although it would nice to have working escalators in train stations and airports! Note: The Sisters built a monastery in Kaifeng in 1941 that is now a hotel. For an account of this story by Sister Dolores Super, click here. Locavore: Those who prefer to buy from local food providers. I had a refreshing experience the other day. I walked across the street to check out the former Loso's Grocery Store as it begins its “Extreme Makeover.” For over 100 years this store provided food and miscellaneous household and school items for St. Joseph residents and area students. With easy access from the main street, it saved taking car trips to other sites to obtain last minute and basic meal/party preparation items. 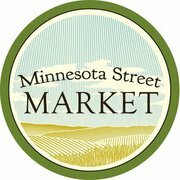 Loso's Store has now morphed into a new co-op called Minnesota Street Market. It supports the local food market movement. Since it is member-owned and member-governed, it operates to benefit members based on principles agreed on by the community members. Anyone can be a lifetime member for $100. And it welcomes members and non-members to explore its healthy food choices. Because it is a smaller store, it can buy smaller quantities of produce from smaller producers. It already displays local organic fresh fruits and vegetables, provides a great selection of choice organic herbs and wonderful organic meats from free range chickens to buffalo steaks. It has milk and eggs, mushroos and even honey from nearby producers. With a significant number of small farmers in the area, the local College of Saint Benedict focusing on sustainability and Benedictine monastic women that prefer being locavores, there is great enthusiasm for this venture. As an addition to the St. Joseph Farmer's Market and our own CSA, Common Ground Garden, there is a true movement toward eating local, fresh food in the area. May this new venture flourish and provide the residents of the city of St. Joseph area, students and local visitors with healthy, environment-friendly and consumer-protected nourishing foods in the upcoming 100 years. It’s a marvelously encouraging business development and another sign of what can be done if local people and committed volunteers gather together and support what they believe in. Every summer, I set aside time to visit my family. I ask at least one other Sister if she would like to come with me, since my family lives in western North Dakota. Often Sister Johnita, who is from the same hometown as I, Dickinson, will ride with me. She visits her family while I spend time with my Mother who resides in St. Benedict's Center, part of the Duluth Benedictine Health Systems. This summer, S. Johnita and I set out on June 30, had a lovely drive through a very green North Dakota countryside, drove through some flood waters on I-94 in two different places, and arrived at our destination before suppertime. Besides my Mother, two of my brothers live in Dickinson, and my sister lives in Minot. We siblings planned to get together at our lake cottage on Lake Sacagawea. Immediately after I arrived in Dickinson, we set out because the flooding in North Dakota this year had caused many roads to be impassable and some to wash out. So our trip to the lake, which is usually under two hours became more than that since we had to make detours. My grand niece, Jackie, and nephew, Michael, joined us there with their families. We all enjoyed a wonderful July 4th weekend fishing, swimming, and relaxing. Everyone brings food for grilling because cooking outdoors is tastiest in the summertime. We touch base with each other over food, drinks, and evening fires. It is a wonderfully rejuvenating time for me because I do not get to see my family very often. The darling great nieces and nephews grow so fast, and so we renew our relationship at times like these. Back in Dickinson on the 5th of July, we showed Mom our pictures and talked about the lake with her. She enjoys seeing all the little kids. Mom turned 87 in June, but she still knows us and her face lights up when we come in the door. We only have one precious Mother who nourishes us from inside the womb to the end of our days. This summer I planted flowers at my living residence and at the St. Cloud Starbucks to give a touch of Benedictine beauty and presence to the coffee drinkers and fellow workers. Every morning when I jump on my bike to pedal to morning prayers, they greet me with color, life and sometimes a thirst for water if Mother Nature has not come through. My heart smiles! After prayers I give these flowers some affirmation and encouragement. I dead head those who have moved on to flower heaven and thank them for their time of beauty and their willingness to die for new life to come and bloom. It's a cycle I know quite well in my life and ministry. In my ministry, I love to plant, water, encourage and empower students to grow into their faith and leadership. My heart smiles when I watch these students "bloom" into full color as they take the leadership reins, empower students, give talks because they have a message, and find the joy of nurturing and blooming souls to become leaders. Saturday afternoon I met with two women who will be seniors at the College of Saint Benedict to plan a women's retreat and to raise up a leadership team. These two women have been a part of my retreats since their first year. They have been nurtured, tapped and encouraged to lead. Now they are in full bloom, planning and organizing this retreat. My job is to get out of the way and let them lead. It makes my heart smile. They are bittersweet about planning this retreat and being at the helm of it and so am I. This will be their last retreat as seniors, which feels unreal to them and me. Yet these women are passionate about their vision for the future, raising up leadership and making room for new bloom and beauty. This is Benedictine hospitality, receiving all as Christ and making room each soul to bloom. Some very famous festivals here and abroad combine the sacred and the secular. I am thinking in particular of Halloween, Christmas and Easter. 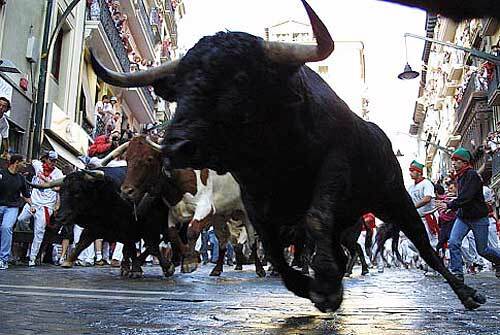 But now in early July I think of the Spanish festival called the Running of the Bulls—held in Pamplona, Spain, annually, July 6-14. It often gets a one-two minute coverage on the national networks and, over the years, I have been both amazed and amused at the spectacle. This event is also called the Festival of San Fermin, Saint Fermin being the patron saint of Pamplona. Legend has it that he was martyred by the ancient Romans by being tied to bulls and dragged to his death. The men who run ahead of (and sometimes behind) the bulls on the streets of Pamplona invoke Fermin's protection in this very dangerous "sport." Disaster is a real potential; records show that from 1924-2010 at least 15 men have died and 200 others have been seriously injured during this festival. The brief running of the bulls each morning (two-three minutes) is accompanied by daily rounds of fireworks, dancing, processions and concerts. Ernest Hemingway popularized this festival in his novel The Sun Also Rises (1926), and each July thousands of tourists flock to Pamplona to participate in or to view the event. I am reminded of how interrelated the sacred and secular can be; we link two worlds—that of faith and that of flesh, the latter sometimes daring death itself. The night before the actual running of the bulls is given to speeches in the town square and prayers in honor of Saint Fermin. Unfortunately, reports tell us that the following days are not usually spiritually attuned. The city of St. Joseph and Saint Benedict's Monastery are far removed from this type of festival. The closest we could come would be a "running of the squirrels" on campus, herding the little critters down the cobblestones, getting them out of our trees and garden plots. Somehow I don't see this as an annual event. Fortunately we have some grand feasts of our own to celebrate in July, sacred and secular, which negate any such need. They include July 4, which is also the weekend of the St. Joseph parish festival. It combines faith, heritage and the celebration of our nation's birth with an outdoor Mass, games, good food, a parade, a popular quilt auction, fireworks and a concert. 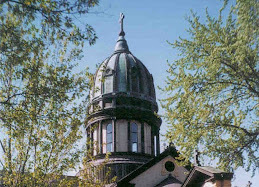 Right now we're looking forward to July 11, the Feast of St. Benedict, a major feast at the monastery. I spoke with a friend in Wisconsin this morning. It's her birthday! I discovered that her very active and effective life as a theologian and pastoral minister for two parishes has been narrowed to a 24/7 horarium needed to care for her mother who has Alzheimer's and a broken arm! In such a situation, Pat appreciates God's presence wherever God reaches out to feed her hungry mind and heart. Our conversation was virtually an "Ode" to her radish patch! 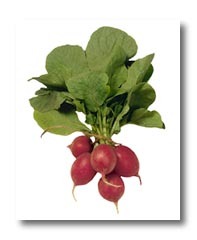 "Little red radishes, the prettiest little things. I think I have overlooked them all these years; and to think that they grow underground, living a quiet life . . . and yet become so colorful and so tasty. I have a blue iris nearby but, frankly, I'm more excited about my little red radishes! I think I'll need to plant another crop." This is, in my mind, a prayerful response to God's revelation, wherever that may be. Would you agree?